That dress is so so beautiful! I love the colours. So pretty! Elsa, this watercolor dress is beautiful on you along with the yellow sandals. You are totally charming here with your beautiful looks. Your hair is also lovely. Amazing loveliness by you. I need a good sun dress. You are looking good my friend. This is such a pretty multihued dress, looks so vibrant! In love with your dress! I love how colourful that dress is!! You're like a walking rainbow! !...and don't get me started on those Zara heels...I don't think Zara can physically produce a bad pair of heels, or if they have I am yet to see them! 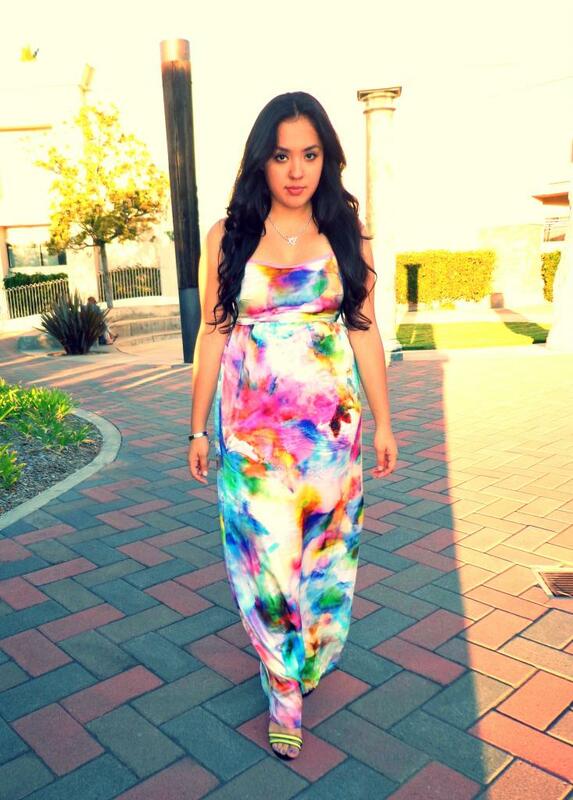 adore the watercolor dress <3 thanks for following back! thats such a beautiful Dress! Wow, this dress is breath-taking! I've never seen anything like it! You look amazing.